Beautifully appointed condo and shows like a model! Features include hardwood floors, granite countertops & stainless steel appliances. 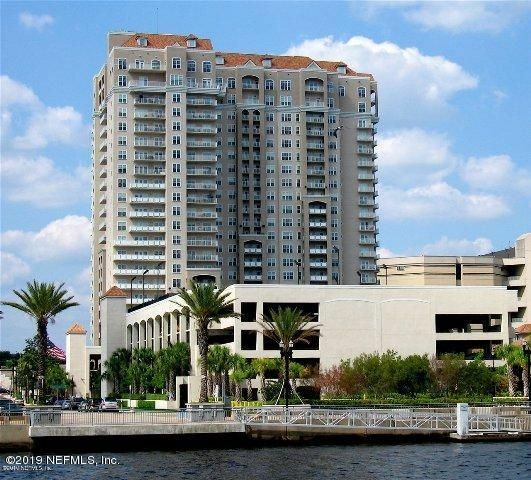 Split bedroom arrangement and large balcony that overlooks city skyline & waterways! Furniture is included! Amenities include 24/7 concierge services, 21st floor clubroom, wine tasting room, business center, fitness center with state of the art equipment, squash court, tennis courts, saunas, steam rooms, putting green, pool & guest suite! Walk to sporting events, concerts, theaters & restaurants! This condo is immaculate and a must see! Show & Sell! !